The Industrial Revolution (1750-1914) is a fascinating part of modern world history. It had far-reaching impacts and was the catalyst for dramatic social changes. It is a great option for secondary teachers to choose as a Year 9 Depth Study in the new AusVELS History course. The Industrial Revolution is more than dark satanic mills and small boys struggling up chimneys. It is important not to forget the very great, albeit different, impact the Industrial Revolution had on Australia. There are so many local connections and national achievements that can allow the teaching of this Depth Study to be more relevant and interesting to students. 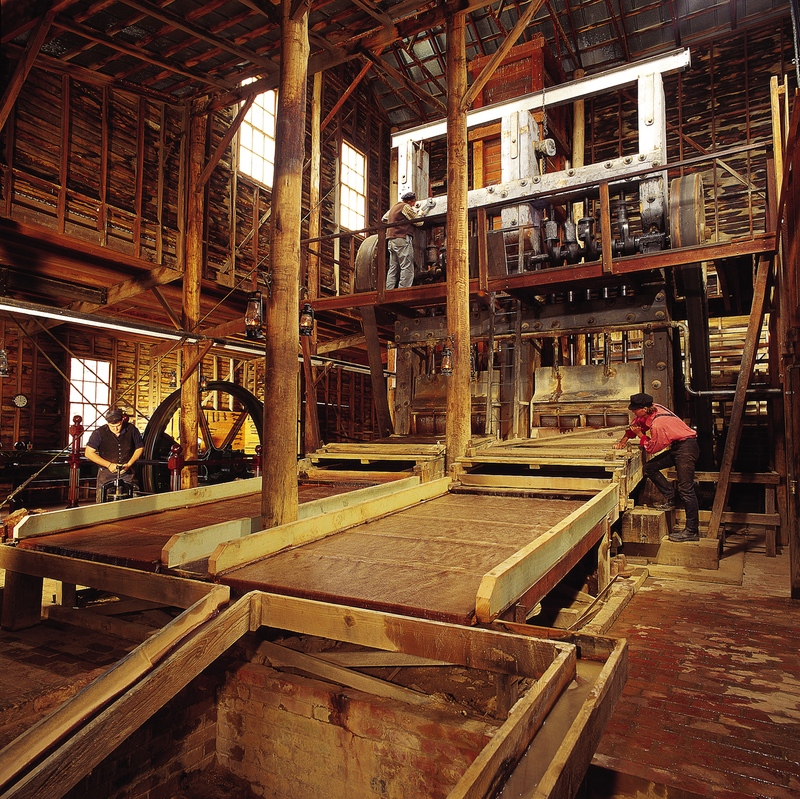 Lots of students researching life and work in Colonial times or the Australian Gold Rushes come to see us at Sovereign Hill, but we can also be a destination for a study of the Industrial Revolution and its impact on Australia. Gold was discovered in Victoria in 1851 at the height of the Industrial Revolution in Britain. 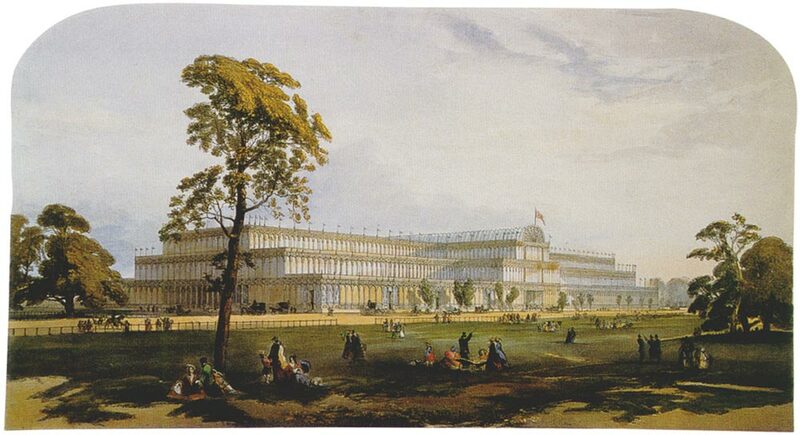 The same year the Great Exhibition was staged in the famous Crystal Palace in Hyde Park London. This Exhibition was organised both as a celebration of modern industrial technology and design, and to showcase British Industrial superiority. Six million people—equivalent to a third of the entire population of Britain at the time—visited the Great Exhibition and of course many who visited were soon to join the mass migration to the goldfields. Those who travelled to Australia in the 1850s bought with them the knowledge, experience and skills of the Industrial Revolution. Many had ridden in trains, worked in the new industrial factories and were confident that this new steam-powered age had established Britain as the most powerful nation on earth. Some of them even travelled to Australia on the amazing ss Great Britain the first iron hulled auxiliary ocean-going steam passenger ship ever built. 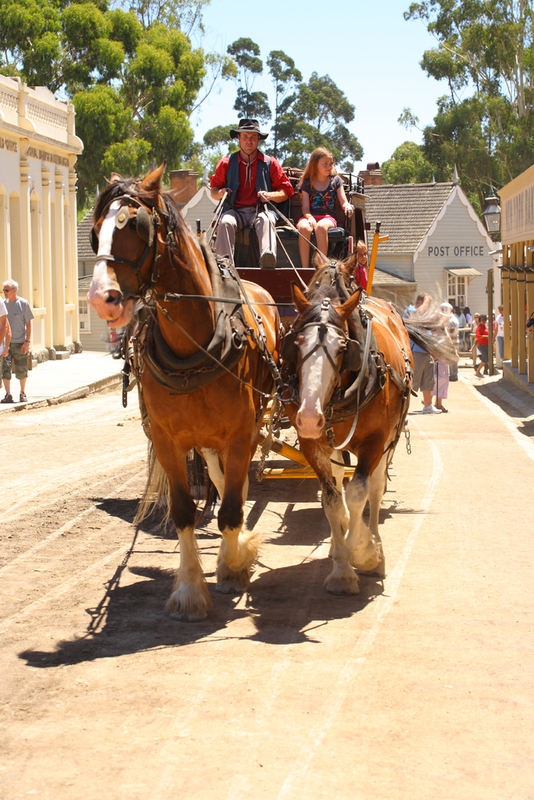 The pre-industrial world is demonstrated by the horse drawn water cart and stage coach that travel the streets at Sovereign Hill. 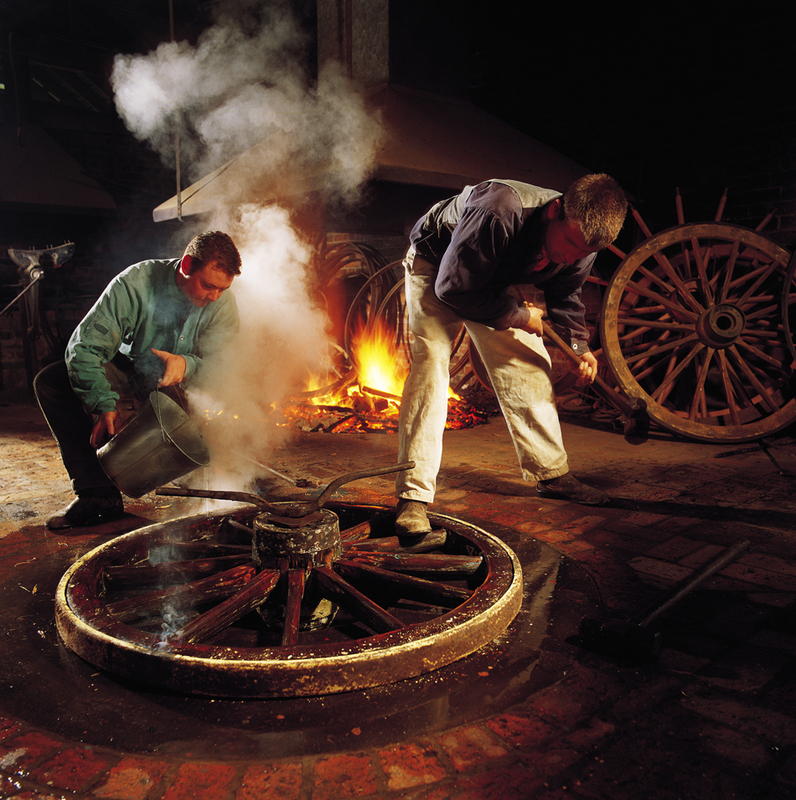 Here at Sovereign Hill students have a unique opportunity to see first-hand the impact of the Industrial Revolution on Australia. The diggings area which represents the early years on the goldfields displays pre-industrial technology. Here work is done using human or horse power. During the 1850s, as the gold became more difficult to reach, the miners on the Victorian goldfields drew on the knowledge they had acquired in Industrial Britain. They rapidly introduced steam-powered machinery to perform work that was too difficult for human or horse power. Ballarat boomed because the Industrial Revolution had already created the technology needed to reach the gold buried deep below ground. 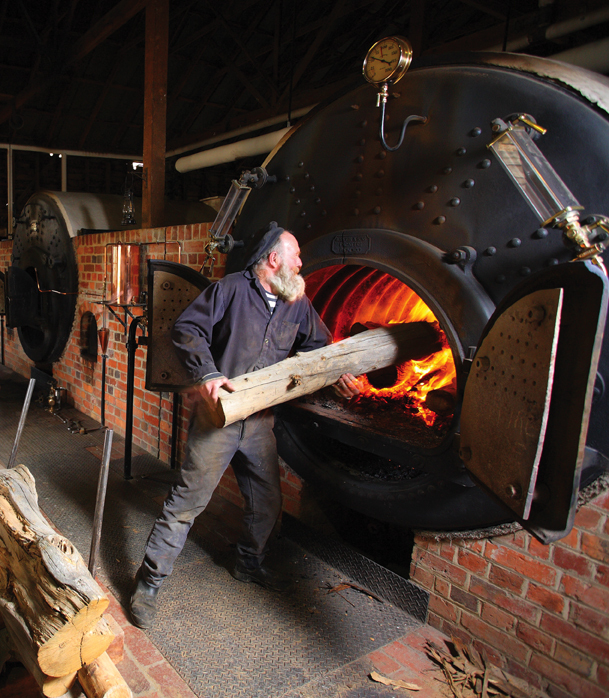 The hundred year old boilers, which are the heart of the steam operations at Sovereign Hill, burn tons of wood to produce the steam needed to run the machines. 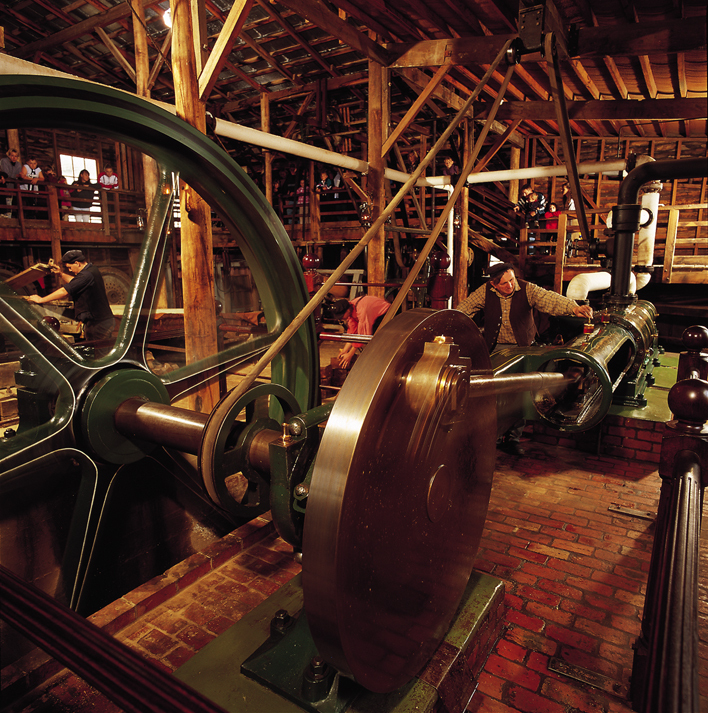 Sovereign Hill has the largest collection of working steam-driven machinery in Victoria. The steam-driven stamper battery which crushes quartz rock to powder so the gold can be retrieved. At the Sovereign Hill wheelwright’s factory rows of machines, that were originally steam-driven, still turn tree trunks into wooden spoked wheels. This is an example of an early factory demonstrating mass production techniques. Inside the wheelwright factory where timber is mass produced to make the wheels. Skilled workers then use the factory-produced parts to construct the wheel. Interestingly, next door at the coachbuilders you can watch skilled artisans hand building horse drawn vehicles and/or coaches. This art of skilled craftsmen individually creating objects harks back to pre-industrial times. If you are a year 9 class studying the Industrial Revolution, we can offer you a new education session which will lead school groups to the various locations around the museum which highlight the impact of the Industrial Revolution on Australia. The session includes some post visit resources and activities. You can find more information about this session and booking information on our website. Want know more? Read part 2 to this post. We have some videos in our library to help Understand the Industrial Revolution in Australia. They can be played here as well. Berwick SC trialled Sovereign Hill’s new year 9 AusVELS session on the Industrial Revolution. They used a range of modern technologies to record information and to present their findings. In this video students talk about the value of an excursion and their learning while at Sovereign Hill. Stream the Video here. For more resources and links on studying the Industrial Revolution with Year 9, have a look at the Teacher Librarian Help blog. Do you have any other useful links or resources for teachers and students exploring the Industrial Revolution? Please share them! This entry was posted in History Teaching, Sovereign Hill and tagged colonial Australia, Industrial Revolution, teaching history. Bookmark the permalink. I love Sovereign Hill’s old machinery. It’s like going back in time. Thanks Scott. Yes, there are lots of different types of machinery to see at Sovereign Hill and it gives us a good appreciation for how things were done in the ‘Good Old Days’. You can read more about our steam operations here. 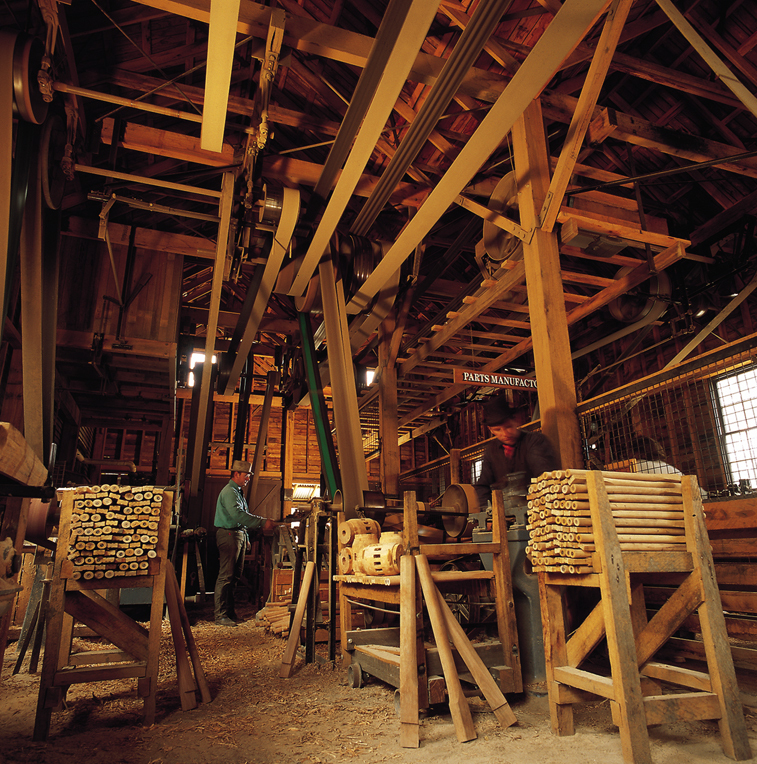 The Wheelwrighting machinery is really worth a visit at Sovereign Hill. It is from the Defiance factory in Ohio in the USA from the 1880s and was installed at Sovereign Hill to show the transition from hand made wooden wheels using simple machines to a mechanised production line process where components are made en masse and assembled almost like a kit. Loads of opportunity to discuss skills transfer and innovation with students–what happens to old jobs when new technology comes along? Thanks for sharing that extra information Tim. Certainly great opportunities for educational conversations! Thank you, and glad you had fun. I myself am from Berwick SC and went to sovereign hill just 2 days ago, it was a great wet and muddy time. I got some real key aspects for my assignment about sovereign hill! I was wondering if you had any advice on some key information. Just general things! We are more than happy to help you with some extra information, but you haven’t mentioned what your assignment is about. What do you need to know? Wow Amber! Those are some HUGE questions about history! Your teacher is really getting your brain working hard, and we love that. We don’t have any blog posts that specifically answer those questions, but our latest post called “The Environmental Impact of the Gold Rush” (http://bit.ly/1qiamtc) might give you a few ideas to answer the question on the Industrial Revolution as should “The Industrial Revolution in Australia” (http://bit.ly/1wZAIoz) and “The Industrial Revolution in Australia: Part 2” (http://bit.ly/1lDMRuQ). I think you could really focus on the impact of the Eureka Stockade for the second question on nation building- http://bit.ly/1u6rZfG. Hi Rita 🙂 The world would be a very different place if the Industrial Revolution hadn’t happened, and it’s effect on Australia is particularly interesting when we consider Europeans were colonising Australia during its height. Imagine the colonial story without fast clipper ships, steam powered trains and mining equipment, machine made clothes and homewares, and the weapons the British used to dominate the world. Without the Industrial Revolution, none of these things would have existed. Britain was the world super-power in the 1700s and 1800s, and was able to take over a quarter of the globe due to industrialisation. Does that help?